OMTEX CLASSES: A bx contains 20 cards marked with numbers from 1 to 20. One card is taken out of the box at random. What is the probability that the number on the card is a prime number? A bx contains 20 cards marked with numbers from 1 to 20. One card is taken out of the box at random. 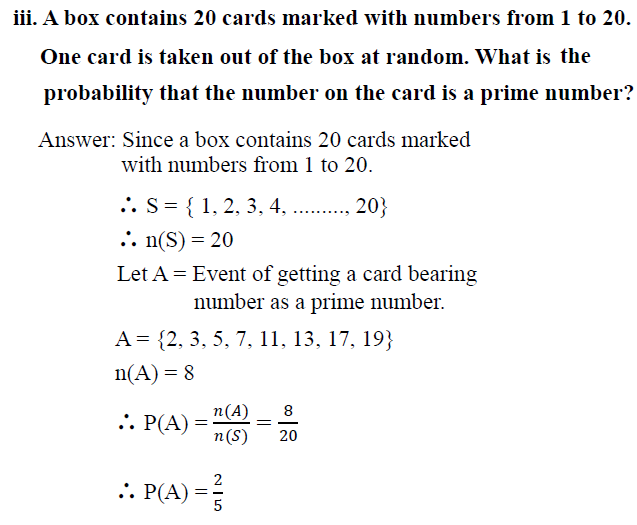 What is the probability that the number on the card is a prime number?